THC is the active ingredient in marijuana that’s responsible for the high you experience when smoking or ingesting. Blood levels of this active compound generally leave the body after a few hours. But unlike other drugs, marijuana use can be detected for months after using. Even your urine will still show traces after a period of time has passed. Urine tests don’t look for the actual THC, but for its metabolites. Urine tests don’t actually screen for THC. They screen for a particular metabolite that forms after the THC in your blood has been filtered by your liver. Commonly known as THC COOH, this metabolite is taken up by the fatty tissues in your organs. The lungs, heart, liver, kidneys and body fat are all able to store this metabolite. 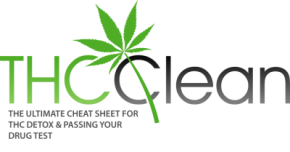 Over time, small amounts of THC COOH are released back into your system and flushed away in your urine and excrement. THC Potency: If you’re smoking a highly concentrated variety of weed, you’ll accumulate more metabolites in your system. And the more metabolites you have, the longer it will take to eliminate them from your system. Frequency and Duration: Frequency refers to how often you use marijuana. Once a week or once a month? Duration refers to how long you have been using for. Three months or ten years? Because the metabolite accumulates in your body and is only released slowly, frequent or long-time users will have more of the metabolite in their system. Method of Consumption: Do you smoke marijuana, ingest it in an edible form, or both? Blood levels of THC tend to drop faster if you smoke it than if you ingest it. Some of the other factors that influence detection levels have more to do with your individual characteristics. Metabolism: If you have a faster metabolism your body may be able to process and eliminate the metabolite rather quickly. Weight: Because the metabolite is stored in the fatty tissues of the body, the fatter you carry, the more you can store. Fitness level: Exercise tends to speed up the metabolism. So if you work out regularly you’ll be able to increase the rate at which the drug is flushed from your system. Eating habits: A healthy diet helps your body flush toxins from your system faster. That includes THC. There is really no conclusive answer to the question of how long marijuana can remain detectable in your urine. Urine testing is most often used to confirm active usage. Samples are analysed for heightened levels of THC COOH. This is measured in nanograms per millilitre (ng/ml). Urine tests typically have a threshold of 50ng/ml, although some test for even smaller amounts of only 20ng/ml. If the initial test yields a result higher than the threshold, the sample will be sent for further testing by gas chromatography or mass spectrometry. Here the threshold is only 15ng/ml and it is very accurate. A one-time user will often (not always) be able to pass a urine test after seven days, provided they don’t use marijuana again during this period. For moderate users it will generally take 1 – 3 weeks for their urine to be clear of the THC metabolite. Regular users will need at least 3 weeks of abstinence to ensure a negative result. Heavy users will find it considerably more difficult to test clean up since it generally takes anywhere from 1 to 3 months after stopping. Even this is not definite as some heavy users still fail the test after three to six months of abstaining (longer than with any other testing type, hair being 3 months max, duration in saliva and blood being less than 10 days max), although it’s pretty rare. Even if you only smoked once, you may be in trouble if you have a test within a week. This is pretty easy to solve with some detox though. So even one-time users are likely to get a positive result on a urine test if the test is administered within a few days of smoking. Heavy users will have more of the metabolite circulating through their system all the time. This is why they’re still likely to have a positive test result, even after a long period of abstention. Some people try drinking plenty of water right before their test in an effort to flush their body and dilute their urine. But this is not really effective. Your body only releases small amounts of the THC into your system over time. Drinking more water won’t speed up this process. And diluting your urine may cause more problems. If a sample is too diluted the lab may reject it. This only makes you look suspicious and you’ll probably have to be re-tested. It’s also not recommended that you add any other substances to your urine. Liquid detergents cannot alter the chemicals in your urine and may cause it to froth during transportation. Again, this will cause the lab to be suspicious and they may test for the presence of detergent. Bleach also won’t have any effect, and most testers are familiar with this trick. Go heavy on detox – Combining effective products with natural efforts of sweating through exercise, drinking plenty of liquid, diet etc. On this page you can learn all about this. Synthetic urine substitution – Great when you have little time and your test is unsupervised. Needs to be a reliable brand that will pass a lab analysis. I recommend that you check out this page for all you need to know about urine substitution. Again, light and infrequent users will stand a better chance of passing a urine test if sufficient time passes between their last joint and the test. Frequent and heavier users will need more time to allow the THC to flush from their systems. However, with a proper, sensible detox programme the amount of time needed can be reduced. Exercise, diet and stress management can improve your metabolism and help you shed the drug from your body faster. Take your method of ingestion, frequency and duration into account when working out how long it will take you to get clean. For more info on beating a urine test you can read this guide. So I’ve got a new job opportunity at a salon and they drug test. Ugh. I’ve worked in 4 salons and I’ve never been drug tested before so this is a pretty classy place. I stopped cold turkey on January 22nd when they mentioned a drug test. Weeks had gone by and they didn’t call and was craving for Mary Jane. So I broke down and smoked on the 20th of February and of course they called me a week later. I did buy quick fix 6.1. My question is should I just the quick fix? I’m so nervous and have anxiety about this. Please help. Since you’ve already bought it, why not. Although it’s not my favorite synthetic urine, it’s still an alright brand. But whether you can pass with your natural urine would depend on mainly things such as how much you smoked before your long abstinence, and when the test actually is. Home drug test kits can be useful to determine this beforehand to help you decide whether synthetic urine is needed or not. If I took one or two hits of decent weed, how does that relate to the time table? I am a very infrequent smoker. I’d say many are clean naturally from this in 1-2 weeks. It would count as a one-time use if infrequent enough that previous smoking couldn’t possibly have an affect on your system still. Hey there, great website. What designates someone as a frequent or heavy user? I smoked for the last year or so about 1-3 grams a week, usually 4-5 days. I have been clean for a week and found out today I have a test in a week. Im very active and have a fast metabolism. What would you recommend? It’s somewhat subjective I suppose, but personally I consider 4-5 days+/week to be frequent, and unless you use very tiny amount, I’d say this or more also counts as heavy, heavy being a combination of smoking often and smoking non-negligable amounts. You’d likely fall under heavy. With this little time, I’d recommend you go with synthetic urine, since detoxinf from THC for a heavy user often takes more time than you have. Hi there! I may have a drug test coming up, possibly a urine one. I’ve smoked a total of three times, at a party last year (I believe in about October or November), and twice briefly in February. I never smoked heavily during these occasions, I pretty much did the actual act of smoking once or twice in each occasion. I’ve been drinking a lot of water and cranberry juice and I’ve been working out. Given my history of smoking, would you guess that I would be good by now for a urine test? Obviously it depends on the person too. I’m about 156 lbs and not generally fat (I’m just a bit chubby). Thanks! Hi Gabi. Yeah you should definitely be good by now, when such an infrequent user, you were most likely clean 2 weeks after your last use at the latest and have remained clean since. Hi Sarah. Since you weren’t a very heavy smoker before that month of abstinence, I’d say these 2-3 hits don’t mean much at all. If you had just one week then maybe, but it sounds like you got 2 or more weeks here which generally should be plenty of time to get clean naturally, without the use of detox products as well. I’d focus on the natural detoxing with exercise and drinking a lot of liquids daily. I’d also recommend you get a cheap home test kit (or several) to confirm you’re clean just to stay safe. Amazon sells these very cheaply for one, see the home page for a recommendation. Hey there, I smoked for 2 weeks straight in the beginning of April and stopped for 2 months before smoking again which was only a few hits from a bowl in mid June. I smoked a joint about 35 days later and got drug tested exactly 2 weeks later. Will my test come back positive?? I work out often and have an above average metabolism rate. Hey Aj, looks to me like you had enough time to detox from the period in April, so the other two occasions I’d consider one-time uses. Generally, 2 weeks will be enough to get clean from a single one-time joint, so most likely you passed. As always though, you can never know with 100% certainty with these things, since our bodies all work a little differently. Okay so i have a drug test tomorrow at 10 and i smoked 10 days ago, but i only hit it 3 times.. should it be out of my system? I am 5’3 110 pounds with an extremely fast metabolism.. I know there are many scenarios but I’m just looking for a bit of comfort I guess. I smoked for 3 days straight only totaling 8 hits, then I took 2 more hits 2 weeks later. Do you think I’ll test negative with 5 weeks clean after that final hit? If I only use once every 2 weeks how long should it take to leave the body? If I smoke today, by your account I should be fine by March 1st? I’m a heavy smoker. I have a drug test in April 19. I stopped today February 3. What do you think my chances are of passing? I smoked Jan 12, Jan 3, and Dec 23, but haven’t smoked in the past year other than those three dates recently. I was wondering what you thought about the likelihood of testing positive this Wednesday (feb 14). I think i have a pretty fast metabolism, i workout everyday and I drink a lot of water everyday just as a part of how I am haha. From January-May 2018, I smoked pretty much every single, except a few days during these 5 months. I went through about 1/8 every month. I tried to stop smoking weed in June 2018 and have been pretty successful, except on 2 occasions. It’s about to be the end of July and during the months of June and July I smoked twice. How long do you think it would take for my drug tests to come out 100% negative? Did my smoking twice during June and July lengthen how long it would take for the drug to exit my system by a lot? Hi I took one hit of marijuana on July 1st and I took a pe test today July 27th and I’m scared I might not pass, do you think I will pass or fail ?